A downhill par four hole which dog legs left to right. 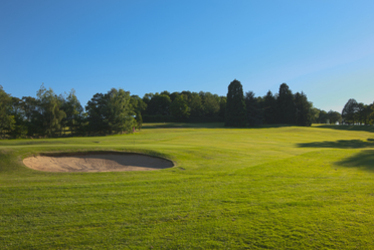 The landing area slopes severely and can kick a good drive left into the rough leaving a tricky shot into the green. If you find the fairway a good shot is required to a flat green with bunkers left and right and out of bounds beyond.